THIS IS ONE OF OUR SANCTUARY DOGS THAT IS MISSING! A TREE FELL ON THE FENCE AND HE AND 2 OF HIS BROTHERS RAN THRU. (One returned, one was hit by a car). WE ARE DESPERATELY LOOKING FOR BARRY, IF YOU ARE IN THE INDIANA AREA PLEASE SHARE! We are a 501c3 animal rescue and sanctuary dedicated to ending the senseless killing of animals who have been discarded by society and place them into loving homes where they will be cared for for the rest of their lives. The rescue is able to operate through donations, fundraising, and grants that we are able to secure. We do not receive government funding of any kind and, are in constant need of financial and volunteer assistance to ensure the dogs get the care and attention they deserve. Please take a moment to review our site to see how you may be able to help. No donation is too small —No time donated to help is too little —the dogs and rescue director are thankful for any assistance. All donations are Tax Deductible! With YOUR help we can educate the public in proper care of our canine companions, provide assistance to pets whose families have fallen on hard times, and make a difference in the life of one dog at a time through rescue, rehabilitation when necessary, and adoption. A percentage of the cost of these plates is donated to Spay and Neuter Services of Indiana and enables them to provide low cost spay/neuter, spay/neuter certificates to help rescues and shelters. Another great way to help the cause. 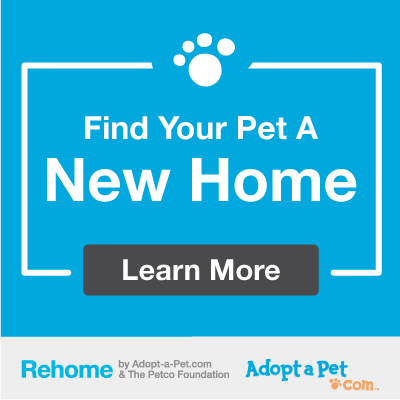 A GREAT ALTERNATIVE TO “FREE TO GOOD HOME” WHEN NEEDING TO REHOME YOUR PET! We guide the owner through the entire process: From how to screen applicants based on the knowledge and expertise shared by some of our 17,000+ shelter and rescue partners to conducting a no-pressure meet and greet at a safe, public location like a Petco store. When a good match has been made, we help the owner and the adopter through the transfer which covers all of the important points, including what happens in the event an adoption doesn’t work out.